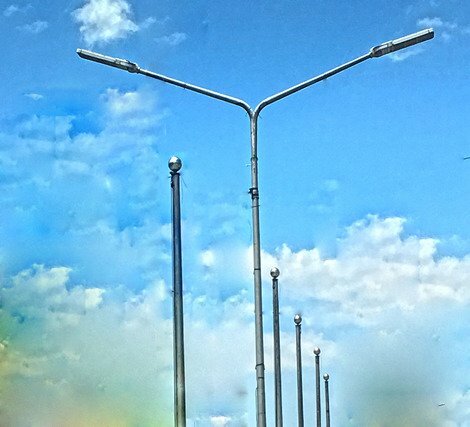 Steel Poles used in Street Lighting Such as Solar, LED Street Light or Metal Halide. Lamp Post for Road. Hot Dipped Galvanized. Custom Arm design. Tower Poles used for Flag, CCTV and Other uses.